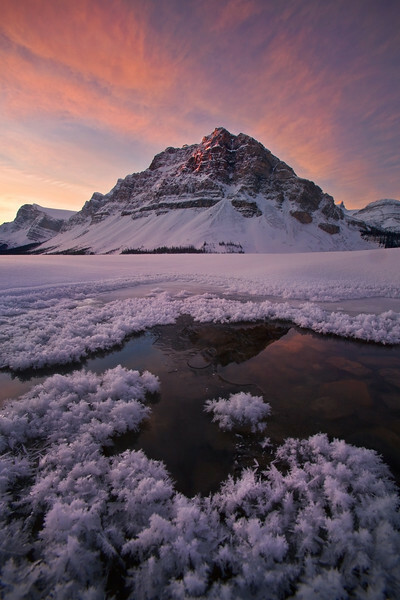 A coating of hoar frost surrounds this last patch of open water on Bow Lake. It was well below zero on this beautiful December morning. Thanks. To get that comp, I had to place my lens about two inches above the hoar frost. A pain, but worth it. Great composition...the sky and the open pocket of water are lovely...cool work.